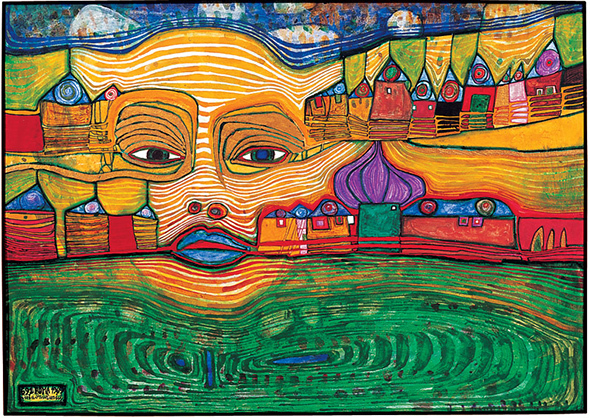 Hundertwasser for Kids: Harvesting Dreams is a book filled with activities for kids to help them learn about Hundertwasser and his art, architecture and style. I had never heard of this artist before. 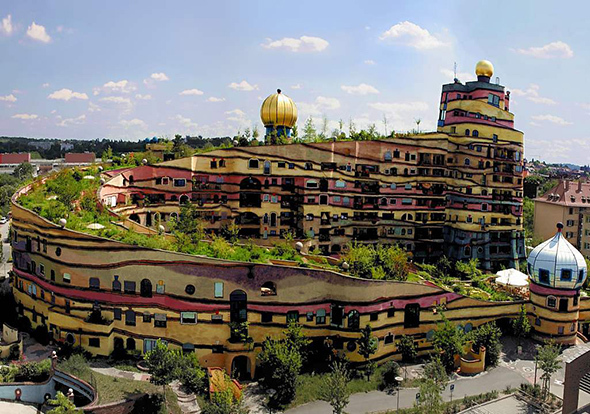 He was an Austrian architect and painter. 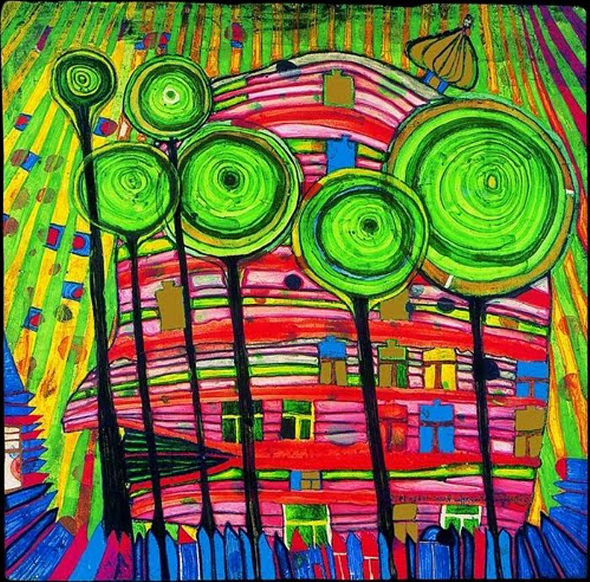 I especially love his lollipop trees. 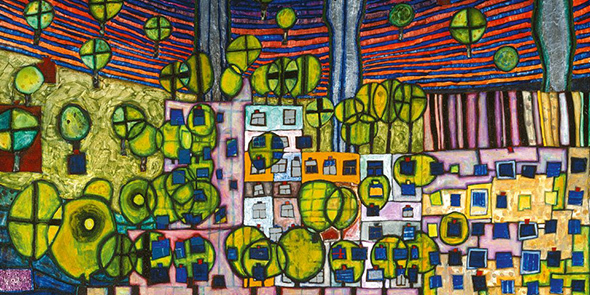 Since Hundertwasser grew up during World War II, some novels set during this period would work well with a study of this artist. Some of our favorites are The Winged Watchman, Twenty and Ten, and Snow Treasure. These are for middle to upper elementary. Picture books set during World War II that we have read and enjoyed are Mercedes and the Chocolate Pilot, The Greatest Skating Race, and A New Coat for Anna. Be inspired by some of his paintings to do a similar drawing or painting. Note the bright colors he used, the bold lines, and the contrast. Invite your child to think brightly, boldly and creatively! Here are some of my favorites.